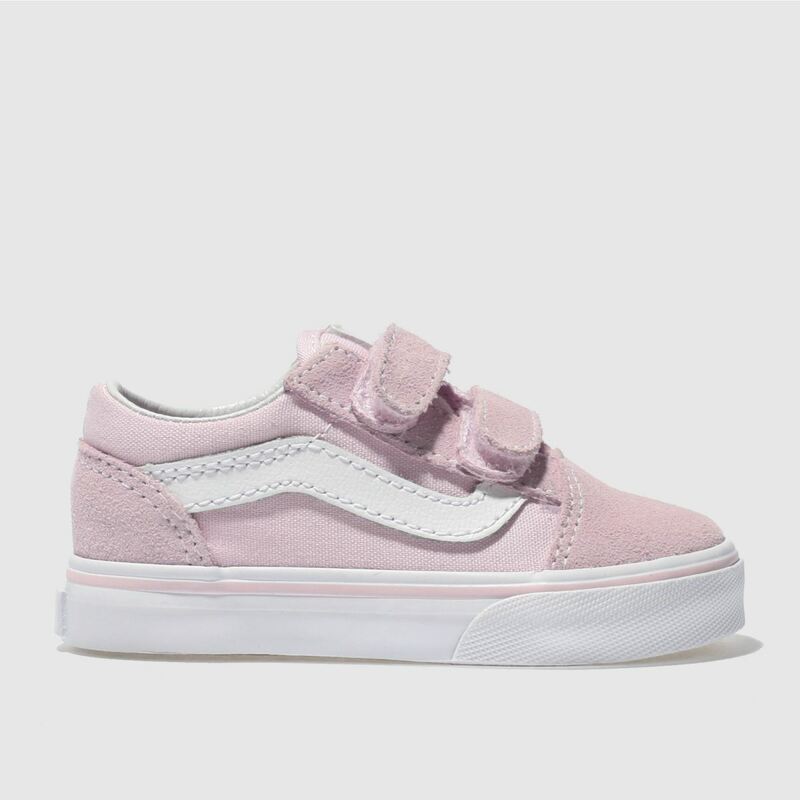 Classic goes cute as Vans downsize the Old Skool for kids. 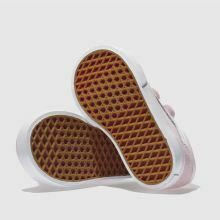 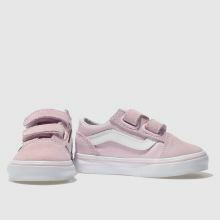 Arriving in pale pink suede, the Old Skool V is joined with touch fastening straps to give kids a little independence, while padded collars offer support every step of the way. 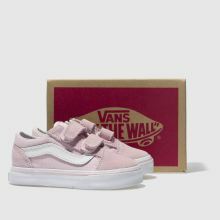 Branding completes.